Loud leopards leap from limb to limb in Louisiana. A label is something you put on something so you can tell what it is. 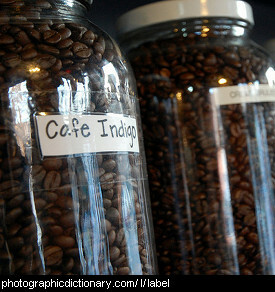 People put labels on containers so they know what is inside. 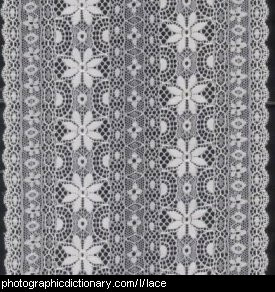 Labels usually have writing on them, but sometimes have symbols or pictures. 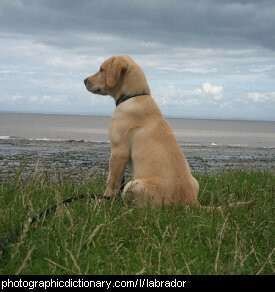 The labrador retriever is a very popular breed of gun dog. They were originally developed to retrieve birds after they were shot. Labradors come in three main colours - yellow, black and chocolate. Labradors are a gentle, intelligent dog and make excellent family pets. They can be trained to be helping dogs, and are used as guide dogs for blind people. 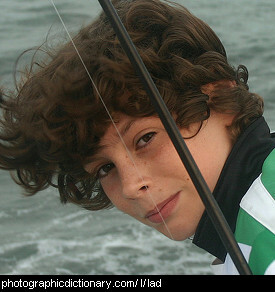 A lad is another word for a boy or a young man. 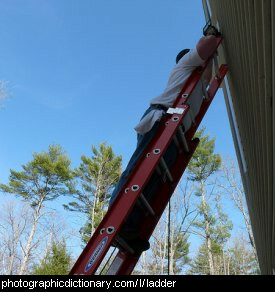 A ladder is a kind of portable staircase. Some ladders fold up, others like the one in the picture are very long and you lean them against a wall. Something is laden if it carrying a load. 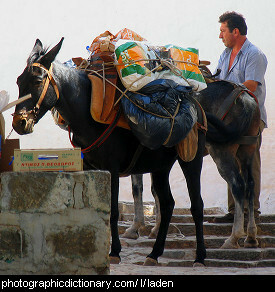 The mule in the picture is laden. A similar word to laden is burdened. 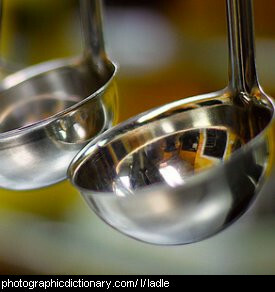 A ladle is a large spoon that is used for serving soups and stews. It is easier and much less messy to use a ladle to get soup out of a large pot than to pick the pot up and pour it. 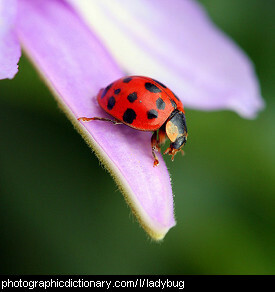 The ladybug, or ladybird, is a very small beetle that eats aphids. As aphids are pests, it is seen as a very good thing to have ladybugs in your garden. Ladybugs are usually red, orange or yellow with black spots. 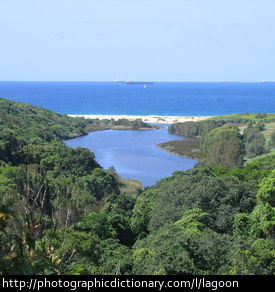 A lagoon is a shallow pool of water separated from a larger body of water by islands or reefs. Laid is the past tense of lay. 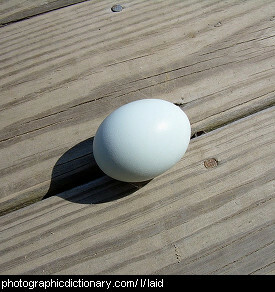 For example, "the chicken laid an egg".